When Benefit came out with their Fake Up concealer ($24.00) a few months ago, I was all over it. Besides the fact that I love trying new concealers for my under eye area, I was mainly intrigued with Fake Up because of it's crease-controlling and hydrating abilities. It also helps diffuse fine lines, to boot. I have tried a couple of Benefit's concealers in the past and unfortunately, they didn't quite work out for me. But luckily, I had much better luck with Fake Up. 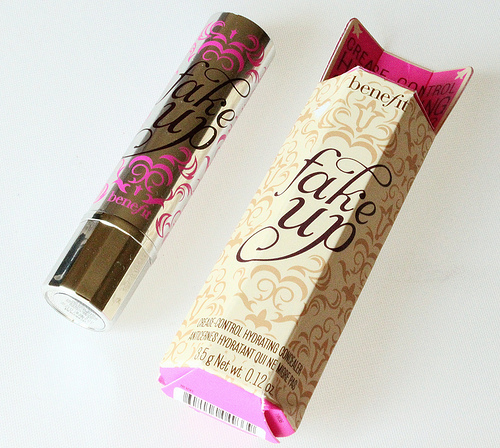 Benefit's Fake-Up concealer comes housed in a travel friendly, swivel up/down tube. This concealer is available in three shade selections-light, medium, and dark. I decided to go with the medium shade which turned out to be a nice match for my skin tone. 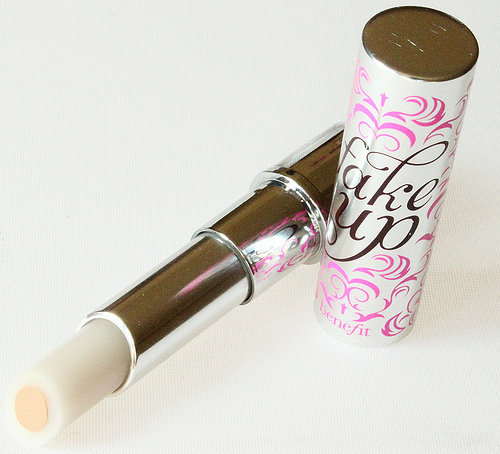 Fake Up takes concealing up a notch by also incorporating a bit of skincare in the mix. The concealer is surrounded by an outer ring that's infused with hydrating ingredients like Vitamin E, and apple seed extract. My eye area does tend to get dry more often than not-especially in the colder months, and Fake Up really does a wonderful job at moisturizing my under eyes. So much so, that I can even skip my eye cream if need be. It's that moisturizing. Benefit's Fake Up concealer is very creamy and it effortlessly glides on the skin, without pulling or tugging. I wouldn't really deem this concealer as being full coverage. I have very dark circles under my eyes and Fake Up offers a light-medium coverage at best. My circles still peek through, but the discoloration is definitely toned down and a bit more neutralized. Although I prefer a fuller coverage when it comes to concealing my dark under eye circles, I am surprised to say that I don't mind the fact that Fake Up isn't full coverage. 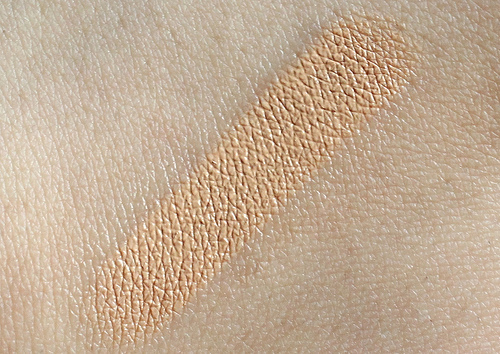 I actually am very fond of the light-medium coverage, which in my opinion looks much more natural. I have no issues sporting Fake Up on it's own on those days when I am going for a minimal makeup look, but I layer another concealer over it when I want a fuller coverage. 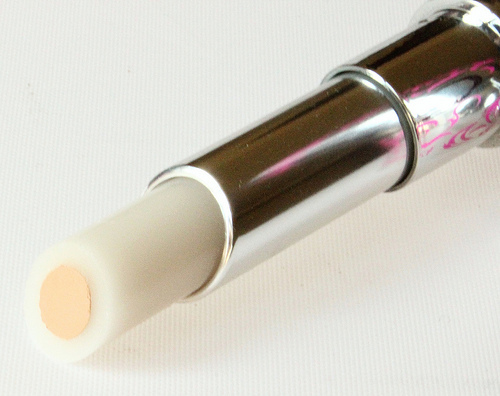 Because of it's moisturizing nature, the finish of this concealer is a little "glossy" looking. To eliminate the shiny look, I make sure to set the concealer with a light dusting of powder. When it comes to crease controlling, Fake Up does OK in that department. This is not completely crease-proof for me, but I gotta admit, the bit of creasing that does result a few hours in isn't terrible. A little touch-up is all it takes. After that, I have no problem with lasting power, with Fake Up hanging on pretty well for the rest of the day. As for the fine lines under my eyes, this concealer doesn't really emphasize them that much, which is nice. Overall: If you are looking for an under eye concealer that offers a light-medium coverage along with hydration, I think Benefit's Fake Up concealer is a brilliant item to look into. I honestly don't know if I will repurchase this concealer again. I might once winter rolls in, since I do tend to get drier under the eye area around that time. I have no doubt that Fake Up will be a handy product to use, then, since it offers so much hydration. What do you all think of Benefit's Fake Up Concealer? Which are your favorite under eye concealers? Thanks so much, Maria alejandra! I am so glad you enjoyed this review. What are your favorite Benefit products?